Will I lose horsepower using the 10w-40 from 5w-30, also will this bring my oil temps down? Think of it like this. A lightweight oil(0wt or 5wt) will have very little resistance in comparison to lets say, a 20wt. So yes, you would likely loose a tad bit power, probably not noticeable. If you went to a , lets say 50wt like how I did, you would notice that the engine revs, ever so slightly slower(you'd have to really know your car and the characteristics of how it runs, to notice before/after). I think we are talking about a 2-3 HORSEPOWER DIFFERENCE so personally, I would [strongly] suggest a heavier oil, for the added protection. But....if you have a MAX EFFORT build, and want to squeeze every possible ounce of power...go with the lighter weight. I just don't see the need for it. I run Torco 20/50 oil. Question, what is he correlation between thinker oil and higher temps on a road course?? In addition to this question, could we assume oil consumption would be less using the thicker 20/50 over a 10/40? Redline 15w50 here. Has plenty of moly and zinc to protect the valve train and bearings plus it handles very high temps without shearing. Last edited by C5Natie; 09-26-2016 at 01:21 AM. Thanks for all the info, and very informative. I also found a very informative link on camaro5 forum a few yrs ago that I could post, from Louis and anthony from LG motorsports regarding over the self synthetics. Long story short, To use either amsoil, redline joe gibbs ls30. I have found that my best application would be to use the amsoil ZRod with the added zinc. The over the self synthetics have been watered down. Now I know others like it, thats fine, but for high horsepower applications like my vehicle to stick with the ones I mentioned. Amsoil Premium Performance also has zinc, and is a little cheaper. I use it in 10W40 in my boosted, AES Forged LS6. In my personal experience(mine and shop cars) yes, that is a safe assumption. Also, I have seen turbo cars smoke LESS with heavier oil(cars that have a bad oil drain design-etc). Again, the correct answer is Royal Purple HPS. 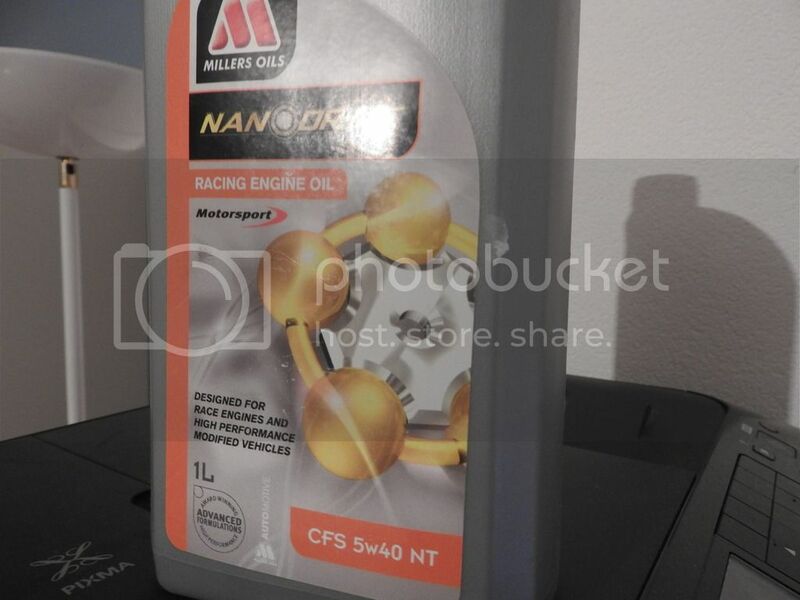 Please tell us your high HP set up that this oil is so great for? Oil weight will not effect oil temps. Oil temp will change oil viscosity. So many people get all bent out of shape about running thicker oil but if the engine is in good shape thicker oil is not helping you. Thicker oil increases pressure right so think about what is happening. Increasing viscosity to increase pressure means you are sacrificing FLOW to gain pressure. I will take more flow over more pressure any day of the week. I have a car that has 220k hard miles on it (not a corvette) and I run 0-w20 in it summer and winter with no problems. Matter of a fact the car likes the water like oil it gets in all the places it needs and quickly. 10) Installed and tuned (HPTuners) by me. Maybe 650+ rwhp (w/o NOS). I've never been to the dyno, but I can put my 345/35/18 tires up in smoke at 70+mph. Nothing but Royal Purple HPS in my engine. 5w30 mainly. Last edited by reactor2; 10-18-2016 at 01:11 AM. WOW! LOL! Some of you experts crack me up with your analogies, but I get what you are trying to say. But I would think the better answer would be it depends on your motor and how the clearances are set up. On my high HP motors they have big clearances so to have any real oil pressure I do run thicker oils. On stock motor's I can't say that's always the best practice as some of the stock motors are set up real tight like .0010-.0015" and in that case I'd stay with something a little more normal other than making sure it has a good additive package for what your doing with the car IMO. I am a big fan of the Rotella T6 5W40 as its pretty good for being able to buy it at Wal-Mart or any other local place without having to order it on line and wait for it etc... Not saying its the best or end all be all for every application. And there are not a ton of oil's that are rated for passenger cars that don't have any good additives left after the EPA has had the manufactures remove most citing premature converter failure etc... I'm not an expert on the subject at all I've done a littler research and have friends that work or worked for some of the oil co. mentioned, but I really have just been inspecting my motors after various stages of abuse and continue to use what has worked well in my motors. GL! Last edited by inspector12; 10-23-2016 at 09:14 PM. On my high HP motors they have big clearances so to have any real oil pressure I do run thicker oils. So what are your clearances then? I assume you refer to rod bearing clearances. I see no reason for any other (oil film related) clearances being looser than stock except for rod bearings if you have weak rods. If you have beefy enough parts in there, the stock clearances will be the best option. The reason for bigger clearances in some parts are just for making a compromise with too flexible parts not to jam. Too many people look at the oil pressure at idle as an indicator of proper oiling. It is not. No I don't shoot for stock clearances unless its a stock rebuild even then they are a tad bigger. My rods I try to get as close to .025 which is pretty normal, and on the mans it depends on the type of block, but they are bigger than that usually. The bigger the clearances the better the bearings have looked after running high HP 1200rwhp+. But you are right ppl look at idle oil pressure as an indicator of motor health or something lol, But it doesn't. Since your asking specifically, do you have some experiences you'd like to share? Last edited by inspector12; 10-25-2016 at 12:21 PM. Since your asking specifically, do you have some experiences you'd like to share? Last edited by Juhatee; 10-25-2016 at 02:50 PM.